And there are millions of parcels to track every day. So imagine the scope of such a project! 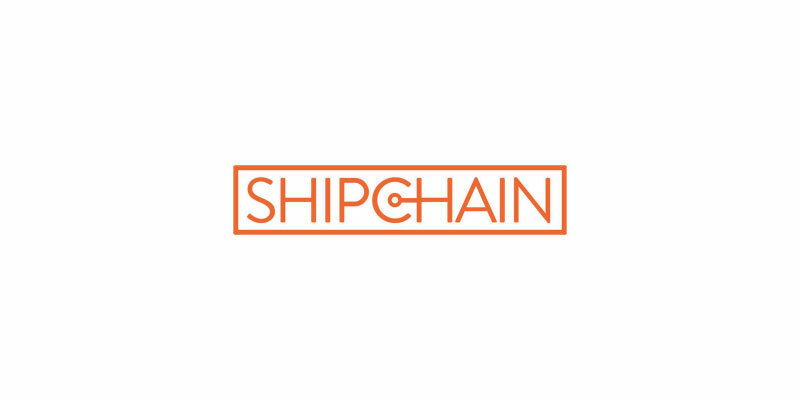 ShipChain’s mission is to solve the greatest problems the logistics industry is facing today. How? By using transparent blockchain contracts in a fully integrated system across the entire supply chain. Imagine tracking your product from the moment it leaves the factory, field, or farm, to the customer’s doorstep. But wait, there’s more! And it’s even more interesting. Because they want to supplant the need for transport brokers, by allowing carriers the ability to find shipments and intelligently route their products. Meaning carriers could choose the best transportation based on factors such as distance, traffic, weather conditions, fuel use and more. And you, the final customer, could benefit a great deal from it in terms of price and delivery time. SHIP is an ERC-20 token, with a maximum supply of 500,000,000 units. And at least 1 full SHIP token is required to access the blockchain for the purpose of tracking shipments or booking freight. Also, all the transactions on the platform will be paid and settled in tokens. And users will be able to pay directly with the tokens they own or to purchase tokens on the internal exchange. You’ll be able to exchange SHIP tokens from USD, EUR or other crypto-currencies. Finally, the team is working to list their tokens on the main exchange platforms. So anybody, at one point, will be able to trade them easily. How to get the free SHIP tokens? There are 1,250,000 SHIP tokens for the airdrop. And they’ll share them evenly to their Telegram community members who participate. While it’s relatively easy to get the free tokens, you must follow their rules carefully. First of all, you need to visit their site. And then click on the Join Airdrop button (there are several on the page). You will be redirected to a Google form, that you must read and fill. You have to be an active member of our Telegram group. An “active member” means anyone that is a member of our Telegram community before the airdrop signup process is complete, which is two weeks from the Jan 15th start date. Pass KYC/AML. (Know Your Customer/Anti-Money Laundering) This is a simple form we will have you fill out, it will be emailed to you within 1-3 weeks of completing this registration. Have a valid ERC20 non-exchange wallet. Balkans, Belarus, Burma, Cote D’Ivoire (Ivory Coast), Cuba, Democratic Republic of Congo, Iran, Iraq, Liberia, North Korea, Sudan, Syria, Zimbabwe, and Somalia. When you’re sure you can be eligible, you need to confirm your email address in the corresponding field. And you need to join both their Telegram channels. So obviously, you need a Telegram account. When you’re done, you can fill in your Telegram USERNAME in the field. And after that, you need to input your ethereum wallet address (to receive the tokens). You’re almost done… You just need to check all the boxes and click on Next. Filling in you address on this page is optional. But they’re having a contest where you can get FREE SWAG, including apparel, stickers and more!!! This one’s really up to you. That’s it, you’re now part of the airdrop. All that’s left is to watch your email in the next 1-3 weeks for an invitation to complete KYC process. You must complete KYC within 7 days of receipt, or you won’t be included in the Airdrop… But if you do complete it in time, you should get your free SHIP tokens in March! ShipChain is a project aiming to combine blockchain and supply chain. Their mission is to solve the greatest problems the logistics industry is facing with blockchain. And they're giving away free tokens. So get yours now!